MIDDLETOWN - Overmatch and outplayed. 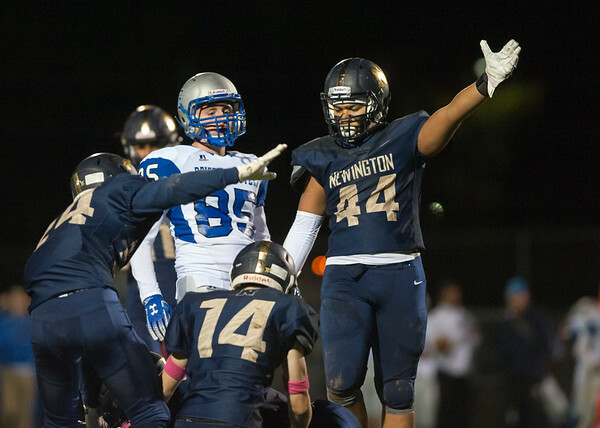 The Newington football team knew Friday night’s matchup against No. 13 Middletown was going to be no easy feat, and it was right. The Indians fell 42-0 as the Blue Dragons cruised to their seventh consecutive with this season. Last week, Indians’ starting quarterback Nick Pestrichello was taken down hard, suffering a concussion forcing senior captain Keenan Esau to step up and take on the role. It is uncertain when Pestrichello will return to the field, but Newington did not take steps forward this week as it planned. The schedule doesn’t get any easier as the Indians (3-5) who will travel to Falcon Field next Friday evening for a game against Maloney (6-1). Posted in Newington Town Crier, Newington, on Friday, 26 October 2018 21:41. Updated: Monday, 29 October 2018 16:09.